A private detective determined to unravel it all. 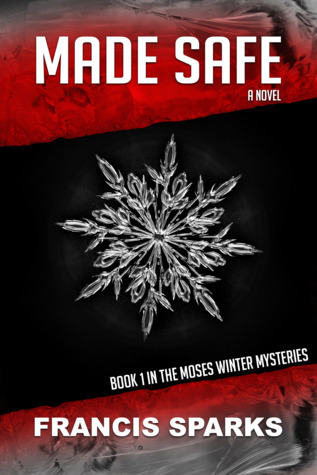 When an adultery investigation takes a violent turn, Fred Dunsmore lands in the hospital with a near-fatal stab wound and private investigator Moses Winter lands in jail. Moses is not alone, though. He’s there with his unstable client, Sharon Dunsmore, and Fred’s mistress, a Bosnian refugee who just happens to be related to the DCI agent investigating the case, Raif Rakić. After Rakić secures their release, Fred disappears, and Moses Winter must find the man his client tried to kill, and in doing so navigate the murky depths of the Des Moines criminal underworld run by the local Bosnian mafia syndicate. As Moses moves from being involved in a simple marital problem case to much worse the police also play a large part in this story. Raif Rakic is Bosnian and in charge of this case. He has moved to the USA for a better life, with quite a proportion of his family, including his cousin Sejla, The third party in the love triangle of Moses’ case before it went belly up. Rakic is very much a man that will bend the law to protect his family and this case is no different. Rakic and Moses make to formidable team. Rakic may be prone to bending the law but he still wants to get the bad guys. Francis Sparks grew up on a farm in northwest Iowa where he spent his days avoiding bulls and other livestock as he created castles in the pasture made of fallen trees, twine pilfered from his father’s hay baler and his imagination. Since graduating from college, he has lived in the ‘big’ city where he continues to build castles and fight dragons in the IT industry. Francis Sparks is a writer living in Des Moines, IA with his amazing wife where he is always working on his next novel or short story and teaching his children about dragons.